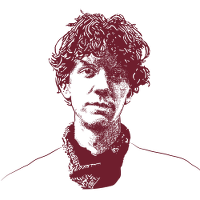 Jeremy Hammond is serving his sentence at FCI Memphis, a medium security federal prison in Tennessee. Please do not talk about anything illegal. Remember that all letters are screened, so please do not talk about anything you would not feel comfortable saying in front of police, a prosecutor, a judge or jury. Include a return address in the body of your letter if you would like a reply as envelopes do not always make it to prisoners. Please do not enclose extra stamps or envelopes with your letter. While the thought is appreciated, they are prohibited and Jeremy will not receive them. Please do not include money with your letters. The best way to donate to help Jeremy is to visit our Donate page. Please be patient when waiting for a return letter. Jeremy is currently having trouble sending outgoing mail, but please be assured that he reads and appreciates every piece of mail he gets. Letters may only be written on white paper and mailed in white envelopes. No colored paper (not even off white) will be accepted. Lined notebook paper is acceptable. Letters must be written in blue or black ink only. Previously, crayons, colored pencils, or markers were acceptable. This is no longer the case, and letters written or decorated in any ink other than blue or black will be rejected. Letters with any kind of scent will be rejected. Please do not use any kind of scented pens or markers, and please do not spray any sort of perfume on the paper. Please do not affix anything to your letter. Stickers, glitter, or anything affixed to your paper with glue will cause your letter to be rejected. Please do not use them. Greeting cards are banned. Please do not send them. Postcards and Flikshop cards should still be acceptable. These rules are not specific to Jeremy and are rules that are being rolled out across all federal prisons. We are still seeking further clarification, and will update with any further rules as we learn more. Please do feel free to include articles that you think Jeremy would like to read. Jeremy has requested articles concerning Anonymous and articles from anarchist or similar alternative news sources. He says that he and his fellow inmates are starved of news of current events – a common sentiment in many prisons. You can also include silly memes or cute kitty pictures (because, hey, prison is serious enough!). There is a lot of down time in prison – especially for Jeremy, whose communication with the outside world is severely restricted. We have asked Jeremy what would help him pass the time and have received one overwhelming response: books. AK Press: Note in the comment section at checkout that the book is for a prisoner to receive a 30% discount on your order. You will not see any immediate discount at the checkout – the discount is applied when AK Press processes your order. PM Press: Use the code ‘FOPM’ at the checkout for a 50% discount on your order. Haymarket Books: Use the code ‘FREEJH’ at the checkout for a 50% discount on your order. The books available to purchase with discounts from the above suppliers are listed on Jeremy’s Amazon Wishlist with accompanying notes and links to the relevant supplier, should you wish to take advantage of these discounts. Please note: Private citizens were previously able to send Jeremy books directly. This is no longer the case. Please make sure all books sent to Jeremy come directly from a publisher or distributor. Used books from Amazon are fine. If you purchase a book on the Wishlist from an outside source, please let us know by emailing courage.contact@couragefound.org so that Jeremy does not receive duplicates. Jeremy may only receive 3 books per package. If you wish to send more books, they must be broken up into separate packages. If ordering from a retailer like Amazon, this may mean placing multiple orders. Jeremy still cannot receive any items other than paperback books, zines, letters, articles, or photos through the mail. New books will be added to Jeremy’s Wishlist periodically as we get requests, so be sure to keep checking back.